Each new member gives a classification talk, describing to other members something about their life and career. 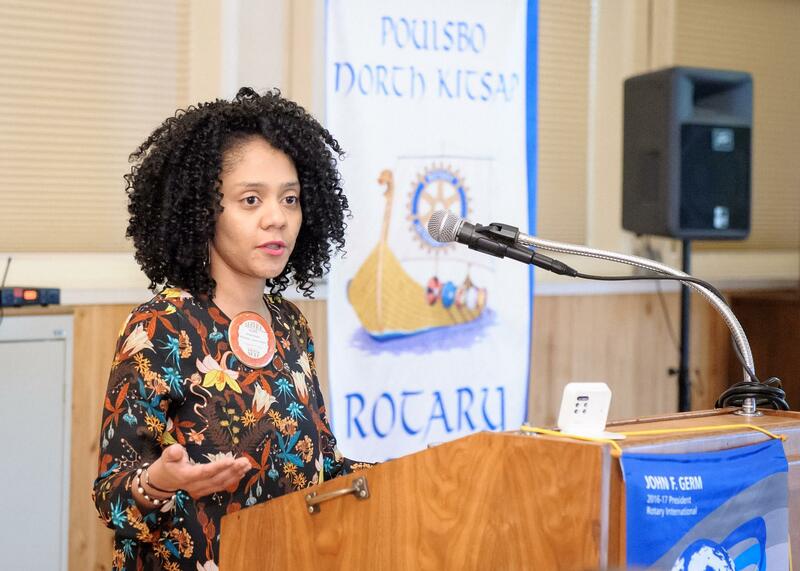 Alexis Foster delivered her Classification Talk, describing her journey from a 6-year old girl in Chicago who decided she wanted to be a lawyer, to becoming the City Prosecutor/Risk Manager for the City of Poulsbo. Along the way she briefly considered being an engineer, but discovered that her limited math skills made that unlikely. She finally returned to her dream of becoming an attorney, getting her law degree from Arizona State and then working briefly as an “in house Counsel” for a private company, and then moving on to be a Deputy Prosecuting Attorney with Kitsap County for 5+ years before moving to her current job.